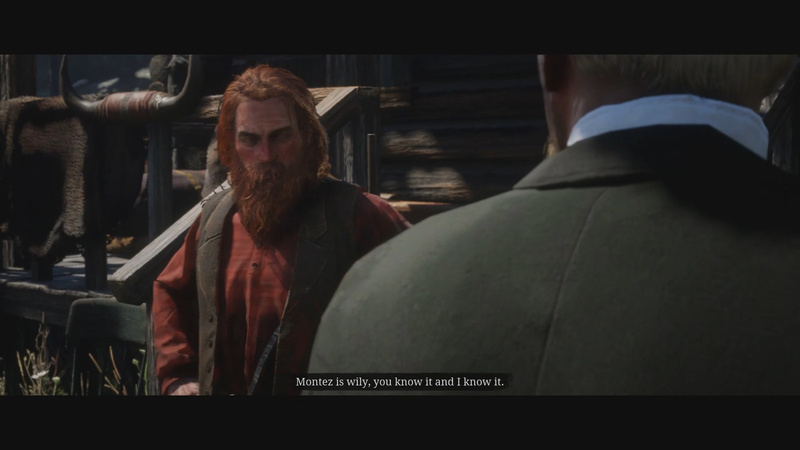 After you complete all the missions for the three Sheriffs and return to Horley in Blackwater, Horley will send you to Marshal Davies for you next mission. Marshal Davies can be found north of Manzanita Post in a campsite. To complete the mission from Davies, use our Where Your Morals Lead You guide below. 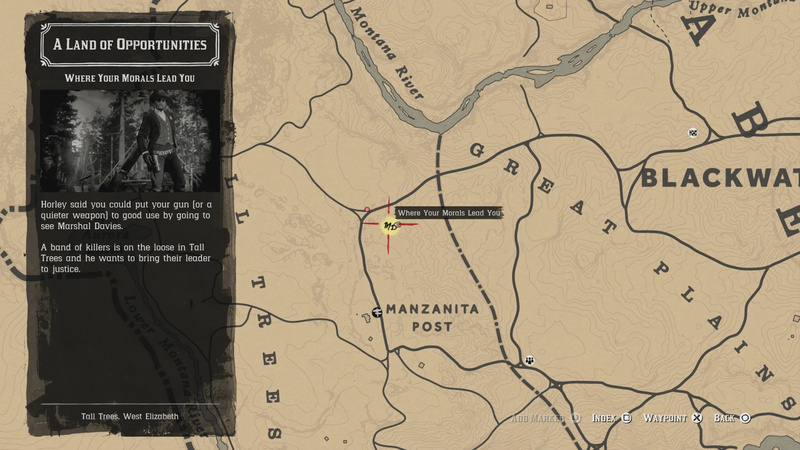 Marshal Davies can be found just north of Manzanita Post. A band of killers is on the loose in Tall Trees and he wants to bring their leader to justice. The required players for this mission is 2-4. At the Manzanita Post you meet up with a tracker named Lee. When you follow Lee he will take you to a number of spots with a few enemies. Dispatch of them (stealth prefered). Patrol on Pathway: Can be killed or let passed. Enemies at Campsite: Need to be killed. Enemies at Tanning Rack: Must be killed. Group by Barrels and on Road: Must be killed. Once you complete all five of these interaction, Lee will take you to the final spot where Alfredo Montez is located. Depending on how you approached these scenarios above will determine how many enemies are with Montez. The more stealthy you are the less you need to fight. 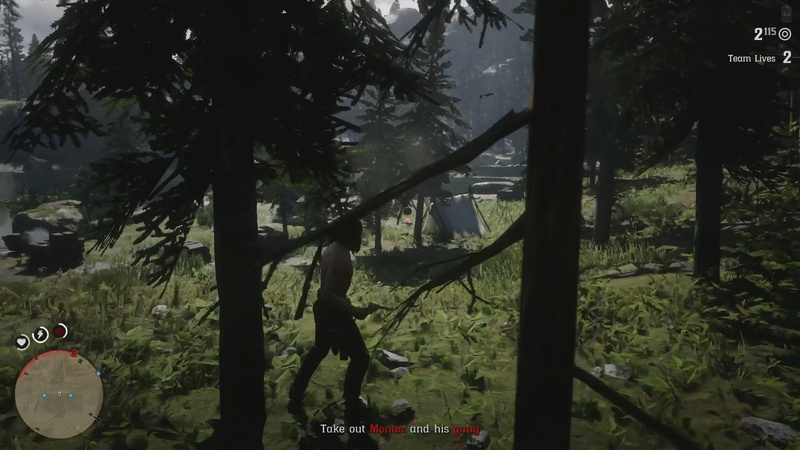 You will need to fight your way through Montez’s campsite to reach him. Once you’ve cleared out the gang and Montez is dead you will take his head. Literally. In the final area you need to clear out Montez and his gang of misfits. By clearing out I mean killing. Depending how you took on the mission will determine how many enemies you need to defeat. 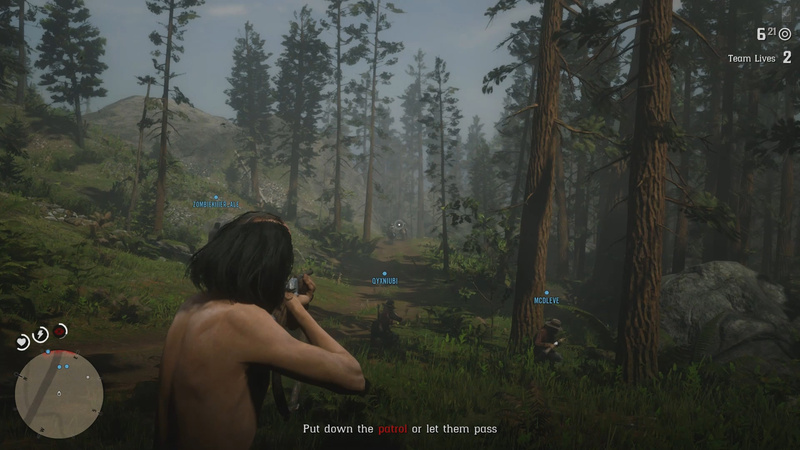 Like other missions in RDO you basically start at one end of the camp and work you way to the other end to reach Montez. 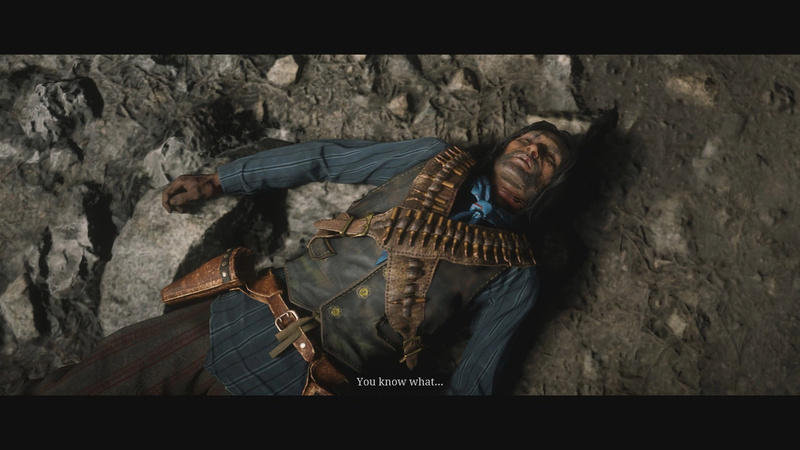 When you do finally take out Montez a cutscene will trigger. 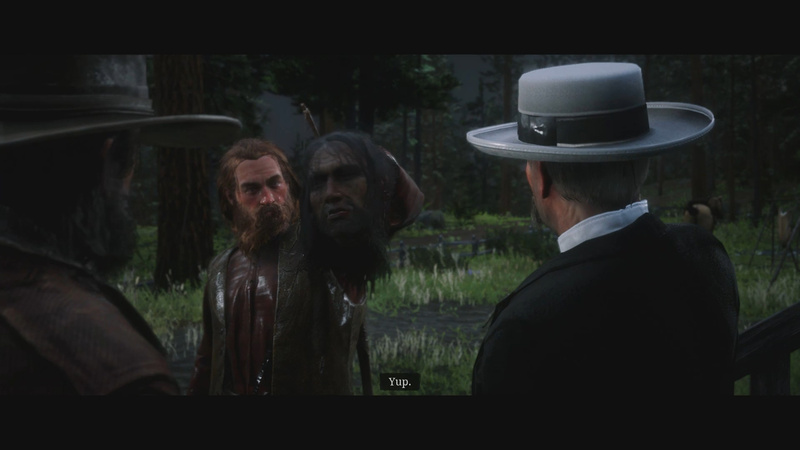 In the cutscene Lee takes Montez’s head. We need to get this head to the Marshal. The final section of this mission is simply riding back to Manzanita Post while being chased by a ton of enemies. With the head in hand it’s time to make our escape. To get out of here you need to jump on a horse and ride a few minutes down a trail to the Manzanita Post. This sounds easy enough but it is actually a bit of a pain. The whole time you ride down the trail you will be attacked from all sides by enemies. 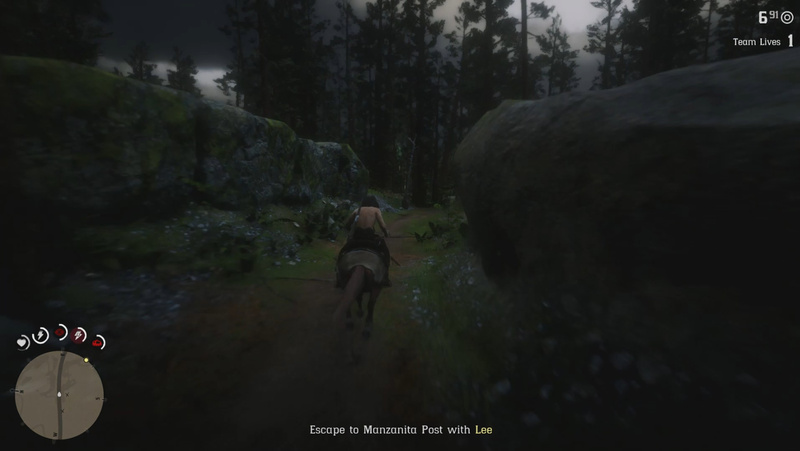 Continue to ride until you reach Manzanita Post and the end of the mission. What else should be added to our Where Your Morals Lead You guide? Let us know in The Pit below.